Open source code repository sites are of great importance to the developer community as well as tech companies in developing their software and applications. Among them, GitHub is undoubtedly the best free source code hosting site for projects that require Git revision control system. However, the news of Microsoft acquiring GitHub has attracted growing concerns among several developers who do not trust the intentions of the software giant and are worried about the future of the platform. And the fact that Microsoft hasn’t viewed open source in a positive light in the past is not exactly a secret. It is an open source software you can download and install on your own server. So you can always have the option of using GitLab on a custom domain or with a custom host. 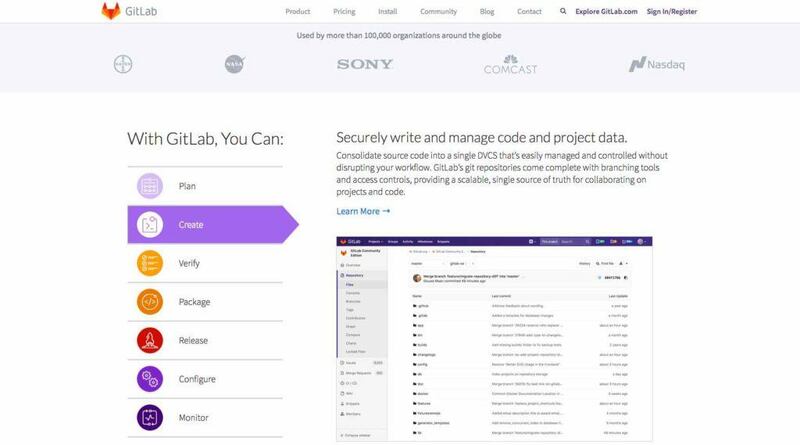 The best part is that GitLab offers an easy way through its GitHub importer to help you migrate with minimal effort. BitBucket is another popular alternative to GitHub which offers unlimited private and public repositories for free for up to five members. It has impressive features like code search, BitBucket pipelines, pull requests, smart mirroring, issue tracking, flexible deployment models, IP whitelisting and branch permissions for protecting your work. 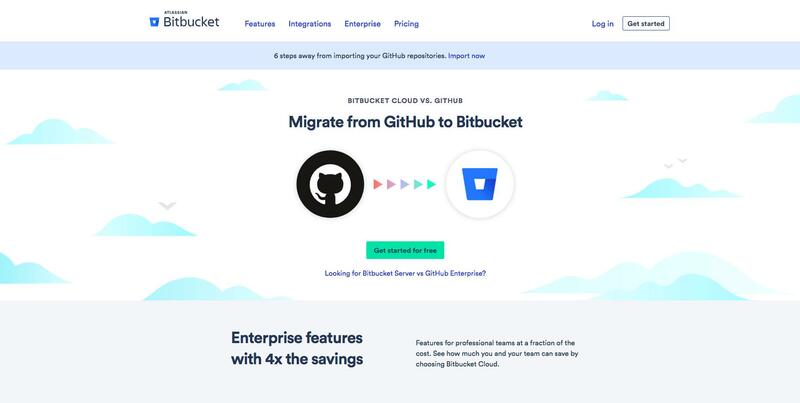 Since BitBucket belongs to the Atlassian software family, it lets you integrate other Atlassian project management tools like Jira, Bamboo, HipChat, and Confluence. Another noteworthy feature of this GitHub alternative is that it lets users push their files using any Git client or Git command line. Depending on your security needs, BitBucket can be deployed on the cloud, your company’s data center or a local server. SourceForge has been around for a longer time compared to other online code repositories and hosts over 3.7 million registered users. This free Git repository is hosted on Apache Allura and creates an entirely different structure of the project. Unlike other version control sites, SourceForge lets you host both static and dynamic pages as well. On this platform, users are free to choose either Git, Subversion, or Mercurial as their preferred version control system. 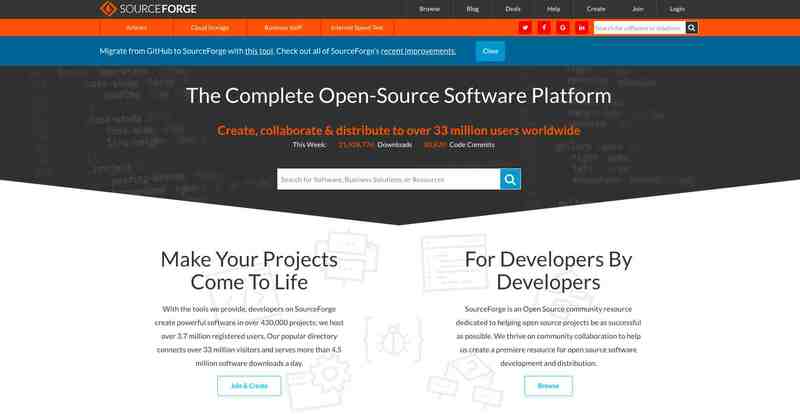 Like other websites, SourceForge also offers tools to import their selected or entire GitHub repositories into existing projects. There is also a popular directory that connects millions of users to several open source projects. 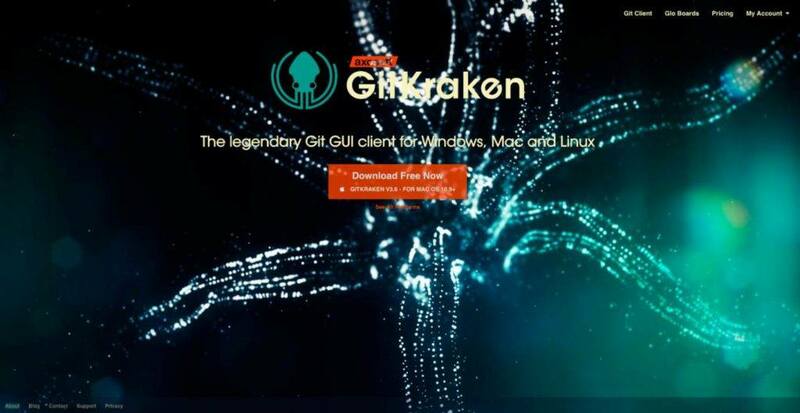 GritKaken is one of the most promising names in this list of free GitHub alternatives as it is gaining popularity at an astonishing speed. The exclusive features, clean and visually appealing interface, speed and ease of use for Git is what mainly attracts users to this platform. The free version of this VCS allows up to 20 users, and in case you fall in love with service, you can always upgrade to the paid premium version to unlock other useful features like profile support for separating projects. It is a Git client built on Electron which allows it to run natively on Windows, Mac, and Linux environment and its sizeable interface along with a focus on speed are quite appreciable. GitKraken has an incredibly handy “undo” button that lets you omit redundancies that occur by mistake. Also, the seamless integration across popular services like GitHub, Bitbucket and GitLab make working with remote repositories much easier. 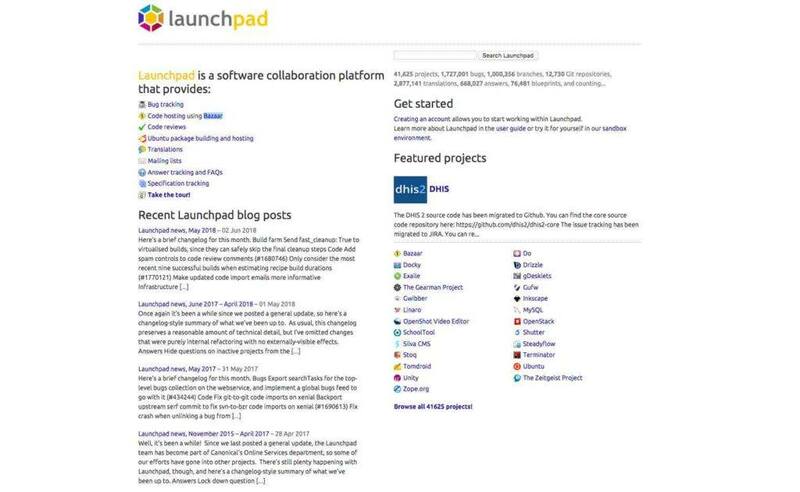 Another big name in the list of free GitHub alternatives is LaunchPad. This software collaboration platform belongs to Canonical Ltd., the parent company of Ubuntu. Even though is mostly used for Ubuntu project development, it offers excellent support for Git. It is completely free and offers remarkable features like bug tracking, code reviews, Ubuntu package building, and hosting, mail listing, language translations, answer tracking and FAQs. Ubuntu Linux, MySQL, Terminator, and OpenStack are some of the few popular projects that are hosted on Launchpad. Which code hosting site do you prefer? This brings us to the end of this list of best GitHub alternatives. I hope you find this article useful for hosting your projects. Do share your views about these source code hosting services in the comment section below. Also, let us know if there are any other software repository hosting platforms that deserve a place on this list.